“Sometimes a thing has more value if it doesn’t come easily. And if you know your father before you know his history, you’ll have to judge him by his face and actions rather than by the trouble associated with his name.” (Kindle Locations 141-143). Lucien, after discovering a letter written by his late mother detailing the existence of a father he never knew about, journeys to Seahaven with his best friend Rutherford and their schoolteacher Miss Pansy. After a 6 hour coach ride, they search all over town trying to find Amani Peale, Lucien’s father. They plan on matching eyes from father to son to prove parentage as both have startling green eyes. Eventually, the three are able to find Amani, but that is not all they discover in Seahaven. Lucien’s mother left the port town for good reason, to protect her son from the dark cloud of evil that surrounded Amani. There were those in the family and town who wanted to take over Amani’s inheritance and before Lucien was born, thugs roughed up Amani and framed him for murder. For 17 years Amani lay in wait, expecting the rogue to make a misstep so that Amani’s name could be cleared for good. Lucien gets caught up in Amani’s past as they work to create a new future together as father and son. I adore Bastedo’s characters. She gives us a diverse assortment of them. You have Amani Peale, the estranged father who didn’t know he had a son and is valiantly trying to clear his name whilst building up his own fortunes outside of the family inheritance. Bremen is his loyal and trusty right hand man. Lucien is the boy who discovers he has a father as a near-adult and sets out to find him. Rutherford is his best friend. Miss Pansy is the schoolteacher who mothers them all. Beamish is the misunderstood upward-crawling family member whose opinions of Amani are less than nice. Finally, there is Clinger: the presumptuous bully from the docks. Bastedo’s characters are all very different in their personalities and their actions, although she has set some similarities between Amani and his son Lucien and between Bremen and Rutherford, the two buddies. 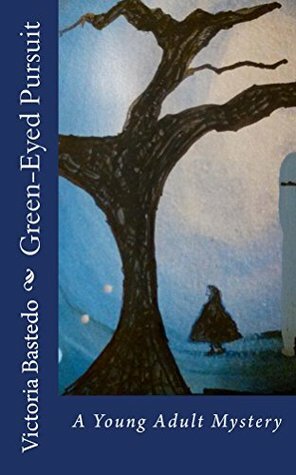 Though Bastedo sets her story in 1905, the writing style is lively if a bit dry. Her characters are stoic and don’t always admit to how they’re feeling. For Lucien, it’s his stubbornness that holds him back and keeps him from letting his feelings free. He lost his mother after all and doesn’t care to be mothered, subconsciously pushing away Miss Pansy’s attempts to care for him because she is in a way replacing the role of his late mother. Lucien is a fun character. Every time he is given new information that involves him and his future, he shows his aptitude for business and summarizing family legalities. His lengths at remaining stoic are hilarious, though he does display emotions when they are called for. Though the writing and setting were somewhat dry to begin with and the action was slow to get the ball rolling, the story naturally found its stride and the secrets kept pouring out until the very end. I believe the slow to action start is quite appropriate for the setting of the story as 1905 was such a different time. Halfway through though, you won’t be able to put the book down as the drama accelerates and the action gets too exciting to let go. This novel was published through Createspace Independent Publishing Platform 05/04/2015 and is available on Amazon here. ← Contest – Chance to Win $5 and/or $50 – Just Read and Review!